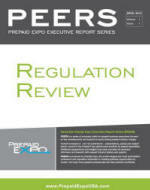 We would like to introduce you to the Prepaid Expo Executive Report Series (PEERS). PEERS is a series of summary briefs for prepaid business executives focused on key developments and topical hot spots driving prepaid industry change. Content is based on – but not restricted to – presentations, panels and subject matter covered in the Prepaid Expo global event portfolio. Additional perspectives and insights are provided through exclusive interviews and research with prepaid industry leaders and experts. To receive Issue 1, click here and complete your contact details. The report will then be sent to you as a PDF via email*. PEERS is produced by Prepaid Expo, the world’s largest and most authoritative conference and exposition dedicated to creating business opportunities for closed- and open-loop prepaid professionals and their partners worldwide. To learn more about Prepaid Expo 2013 and how you can get involved, visit www.prepaidexpousa.com. * Thank you for visiting the Prepaid Expo Blog: To receive 10% off the prevailing rate when you register for Prepaid Expo 2013, mention VIP Code: XU2648BLOG10.